I’ve been getting questions about switches in GNS3 so decided to write this article explaining which switching protocols you can or cannot use in GNS3. First of all, it’s impossible to run switches in GNS3! That being said the option that we do have is using the NM-16SW switching module in a router which gives us some capabilities. Now you are probably wondering ‘which capabilities’ so let’s have a look what we can do. You might have noticed that in the newer versions of GNS3 there’s a Etherswitch Router. This is a Cisco 3725 with the NM-16SW module so only the icon is different. Now let’s see what “switching” options we have. Vlan interfaces: You can create vlan interfaces which can be used as the default gateway for clients. For example interface vlan 10 with IP address 10.10.10.10 and interface vlan 20 with IP address 20.20.20.20. This is the same as you would do on any L3 switch like the 3550 or 3560. Trunking: Trunking is looking good, the only encapsulation type is 802.1Q which is fine (no ISL). But you are able to setup a trunk connection just fine. There is no dynamic auto or dynamic desirable mode so now way to lab this. Vlan Trunking Protocol (VTP): VTP is working just like on a switch, you can configure the VTP domain, mode like server / client / transparent, pruning and passwords. Etherchannel: If you want to learn etherchannel you are better off with some real switches, you can enable it but there’s no Lacp or Pagp support. Spanning-Tree: You can learn the basics of spanning-tree, see which ports are in blocking and forwarding mode but don’t expect any fancy stuff. To be honest you are better of with real switches to study spanning-tree if you ask me. Switched Port Analyzer: Should be possible but to be honest I didn’t fully test it yet. The commands are there so I believe it should work just fine. Storm Control: Storm control is there and seems to be just fine. Quality of Service (QOS): The switch commands for Qos are there like “mls qos” and you can configure the mls qos maps. This looks cool to me! So what do I think of it? To be honest I like it a bit better after researching all the commands and what the options are. If you want to play with vlans or vlan interfaces there’s nothing wrong using the NM16-SW module. Trunking is fine, you can do everything that you want as long as you don’t care about ISL. VTP is the same thing as on a real switch so no need for real hardware here. Etherchannel I don’t like since there’s no Lacp or Pagp support, the same for spanning-tree…you lack a lot of commands and there’s no way to switch to other modes like MST which you can do on a real switch. SPAN is excellent and I also like Storm Control and the Quality of Service commands. So what should you do? get real switches or use GNS3? If you have no budget and are studying for CCNA, just use GNS3. If you do have some money to spend get 2 or 3 Cisco 2950’s and you will have more fun. If you are studying for CCNP SWITCH just get yourself a 3550 and a 2950 or something. It’s not too expensive and using a real switch is better. For the CCIE…do yourself a favor and invest in 2x 3560 and 2x 3550 and connect them to a breakout switch or get quad-nics. You’ll be spending a LOT of time studying and it’s better to spend your time at switches than the NM16-SW module. Next time i’ll be writing an article how to connect your real physical switches to your GNS3 topology. So what do you think? Is there anything i’m missing? Please share your opinion in the comments! Hi Rene. Thanks for your wonderful works. A lot of sites are referring to using the 3560 and 3550 switches to study (or buiding lab) for CCNP or CCIE. But, can one substitute the 3560 with the 3750 switches in building the CCNP or CCIE labs? Most sites are referring to 2x 3550 and 2x 3560 because this is the most "cost-effective" solution. It’s no problem at all to substitute the switches with a 3750. 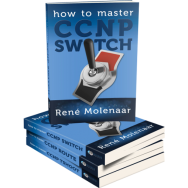 These switches are 100% suitable for CCNP or CCIE, they are only a bit more expensive. 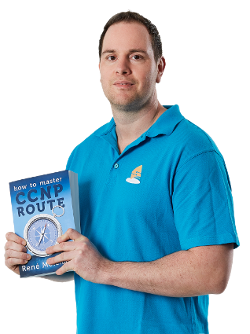 I have a laptop with Windows 7 and GNS3 (routers), how many switches need for CCNP lab? and which models, IOS version (SMI, EMI, etc.) need?. To connect the switches to the laptop, how many USB to LAN adapters need for CCNP lab?. Is there anywhere i can find a simulator for an Extreme X450-24t switch. I am new in the networking industry and i need to learn non-Cisco equipment too. Kindly assist. is some thing free here on this site ? Hi,I want to download QOS LAB Video. Request you to guide me. is it chargeable, if yes, share the link where can i do payment. 1st of all i would like to congratulate you for passing your CCIE! Please regarding Breakout switch give us clear and concise tutorial. However I wouldn’t recommend using a breakout switch. I had too many issues with it. I have 2×2950 and 2×3560 switches for CCIE lab home. i want to know we couldn’t use 2950 instead of 3550 ? or is there anything special that 3550 has ? For CCIE v4 it was best to use 2x 3550 and 2x 3560. You couldn’t use 2950s because those are layer 2 switches, you can’t use them for routing. CCIE v5 is 100% virtual so there isn’t 1 switch platform that you should get. I think you can do most of the labs on a 3550, 3650 or 3750 (those are all L3 switches). I am studying your books from the last 3 months and to be honest it is awesome. I must say Thank you Very much for your kind time to write and publish these books. I have learned many things from them. Now I want to do my practice in GNS3, but i do not have CISCO switch ios Image in order to put them into GNS3. So kindly please provide me any.